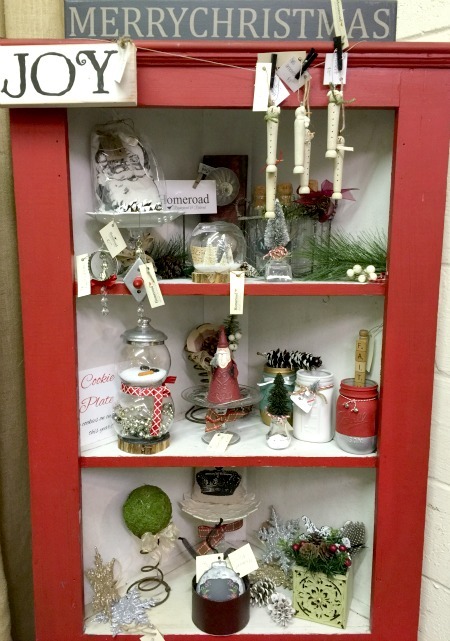 The dollar store has super supplies for this adorable DIY project. The fish bowls come in 2 sizes at the dollar store. For this project I used the smaller size. I began by gluing small bottle brush trees to the cedar base with E6000. 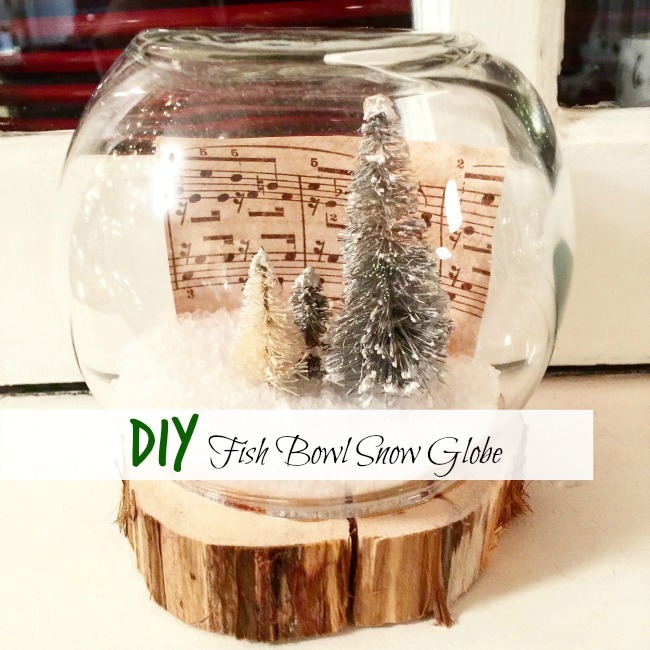 A small piece of music sheet is attached to the back of the fish bowl using glue dots. 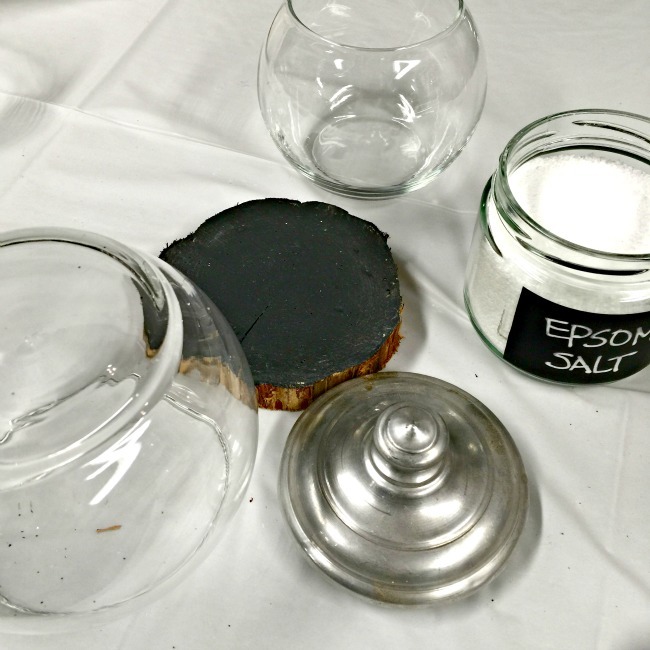 I sprinkled about a 1/4 cup of Epsom salts, also from the dollar store, inside the bowl then attached the cedar base with the trees inside the bowl. 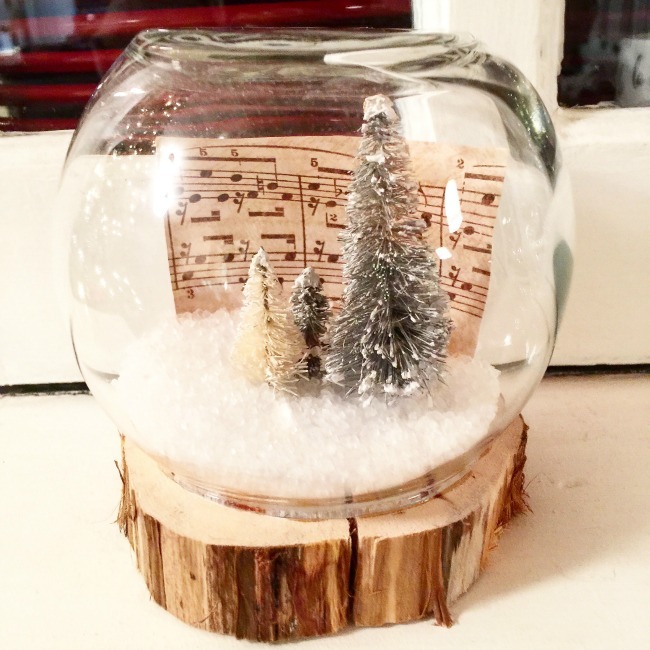 And that is it... couldn't be easier to create a beautiful and very inexpensive Holiday snow globe.